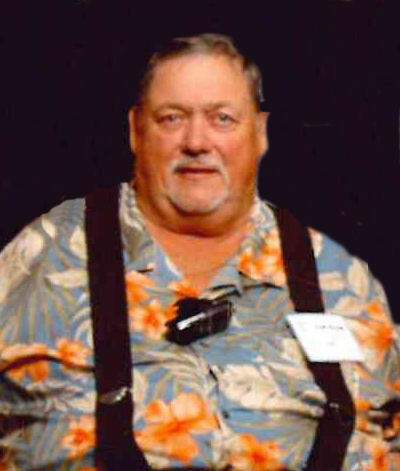 Canton – Henry Franklin “Frank” McLeod, 76, passed away on Wednesday, November 7, 2018 at Memorial Campus of Mission Hospitals. A native of Richmond, Virginia, Frank had lived in Haywood County for the last 30 years and was a son of the late William Howard and Elizabeth Patrick McLeod. In addition to his parents, he was preceded in death by two brothers, Gerald Conrad and Kenneth Lee McLeod. Frank operated a concession business throughout Haywood County and beyond at most fairs, holiday festivals, and special occasions and was a member of Cruso United Methodist Church. He is survived by his wife, 50 years, Elizabeth Moore McLeod; one daughter, Patricia Blake (Jeff); two sons, William Thomas McLeod (Helen) and Jeffrey Franklin McLeod (Monica); ten grandchildren, Michael, Steven, Paige, Josh, Amanda, Brittany, Caitlin, Caroline, Bailey and Madison; three great-grandchildren, Kaden, Adrian and Weston; and two brothers, Howard Watson McLeod (Denise) and Lewis Patrick McLeod (Gena). Funeral services will be held at 2:00 p.m. on Sunday, November 11, 2018 in the Canton Chapel of Wells Funeral Home with the Reverend Aryn Williams-Ruebel officiating. Burial will follow at Cruso United Methodist Church Cemetery. The family will receive friends from 12:30 until 2:00 p.m. prior to the service at the funeral home.